Bloom Day- Welcome Back Topside, Persephone! I love these flowers! Even if they weren't the first thing blooming, only thing blooming, right now, I would still love them. Technically, as both my children are fond of pointing out, it isn’t spring until the equinox, but it sure feels like Spring. Like Hades has lost his grip on his lovely wife, and she has moved back in with Mom. 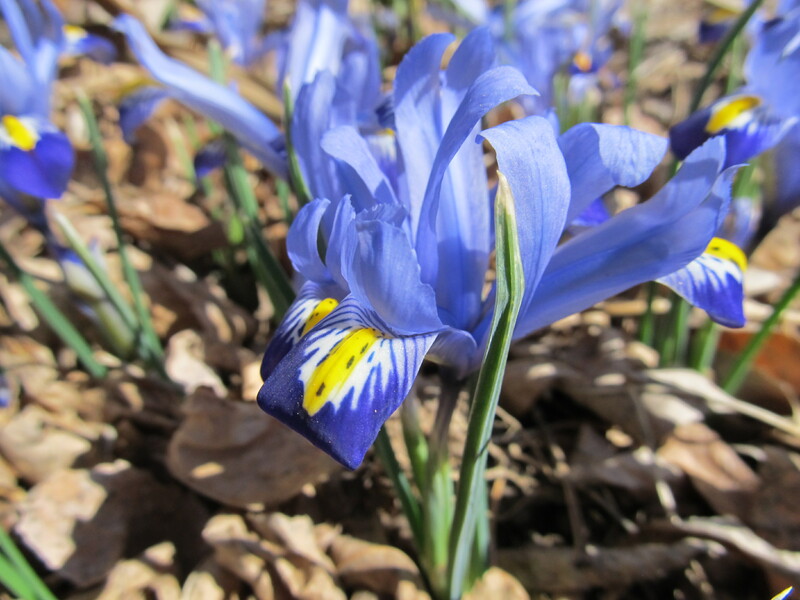 Only two things blooming in my zone 5 yard right now, Iris Reticulata, also known as dwarf iris, and crocus. I looked for squill, which I have mixed in the with lawn, but didn’t find any, so either it didn’t survive, or it will bloom later. 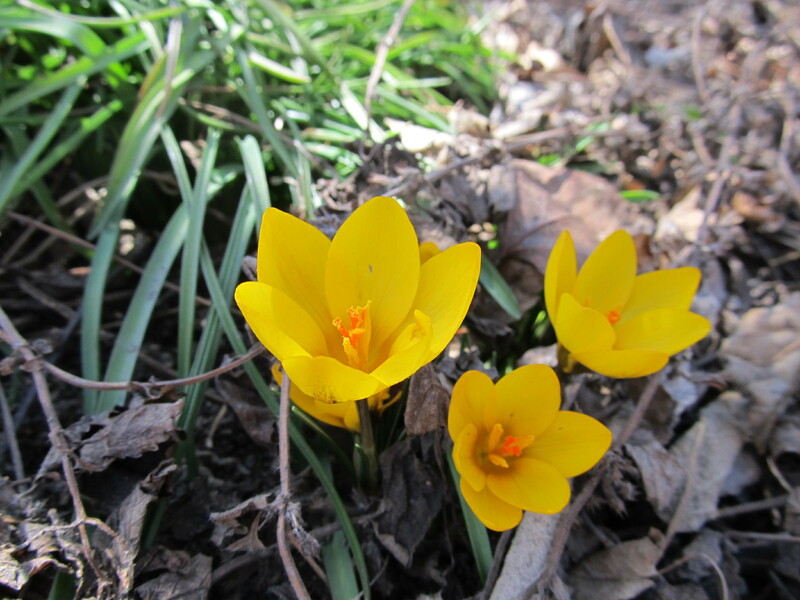 I wonder why the yellow crocus seem to bloom earlier than the purple? 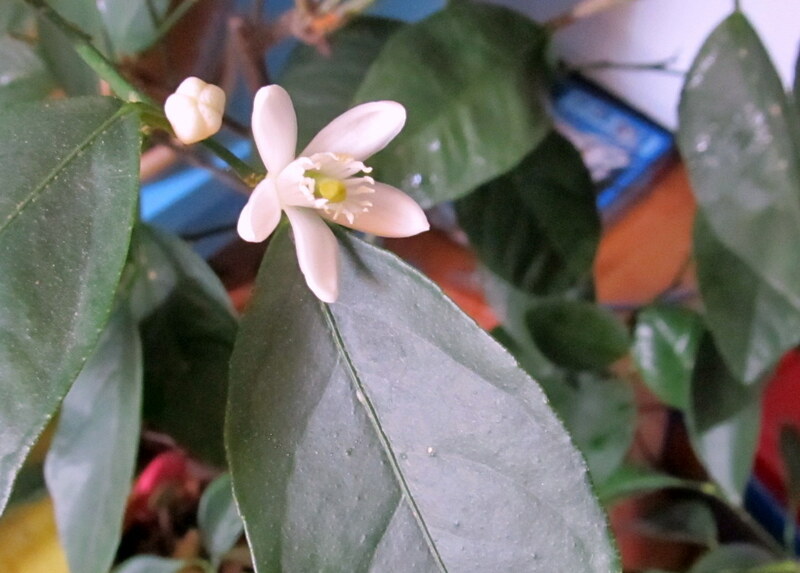 Inside, we have blooms on the lemon tree, or it might be lime…I lost the tags, and I know I have one of each the same age, but can’t remember which is which. I’ll pollinate it with a watercolor brush, and hopefully when it bears fruit, I’ll remember to put a label on it.